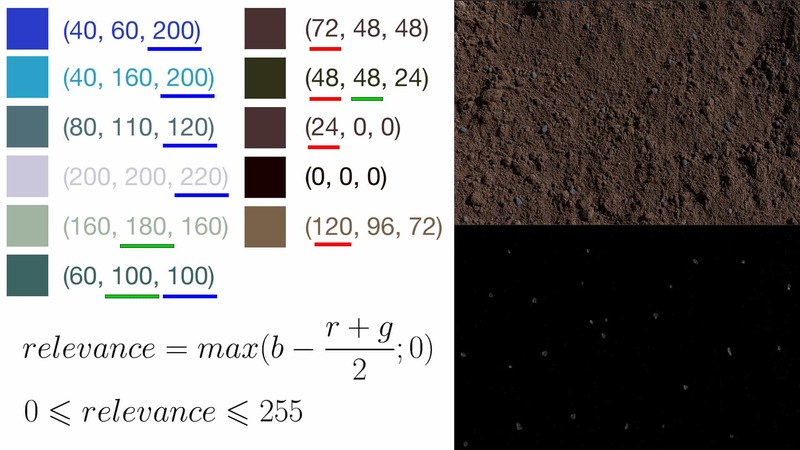 The processing of digital images is one of the significant tasks in many research and science fields like remote sensing, astronomy, and Internet analysis. There are a lot of methods to perform this operation but today it generally requires distributed computing. 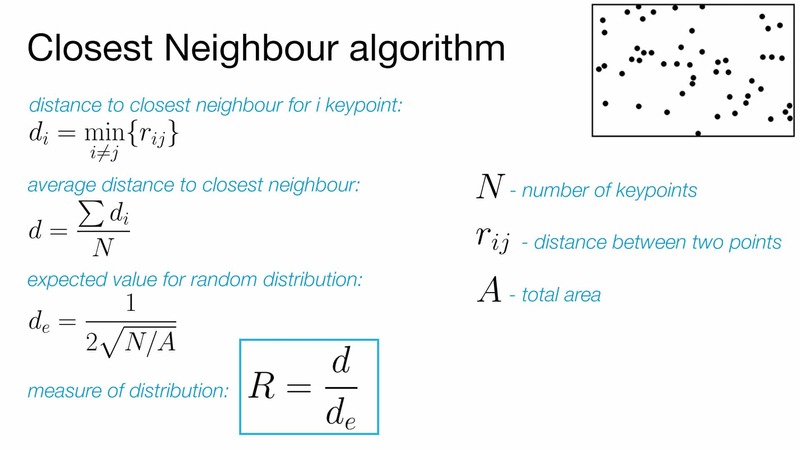 Being a complex subject and requiring a deep technical expertise from specialists, distributed computing involves a plenty of ways and algorithms that can be used for efficient processing of images. So, in this post, we will share our experience in digital image processing with OpenCV. OpenCV is an open source computer vision library to process digital images. This large and popular library includes more than 2500 machine learning and computer vision algorithms to process images and videos as well. We had a photo of soil with blue pellets needed to be processed. 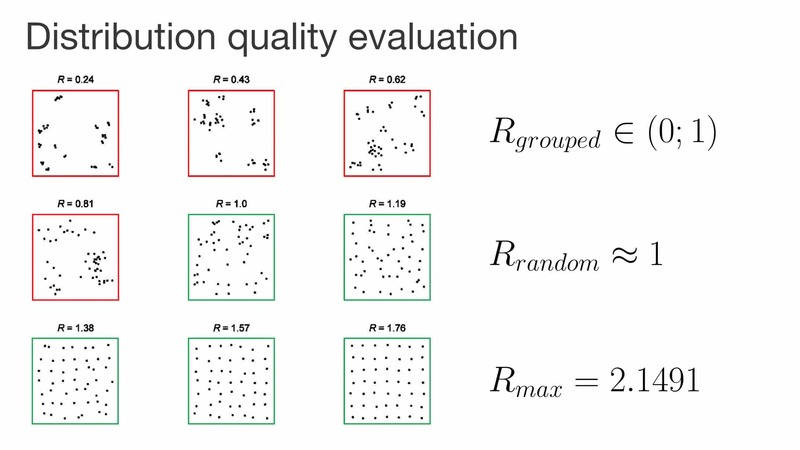 The overall scope included the detection of blobs, calculation of density, and evaluation of evenness. At the beginning, we had to detect blue pellets on the image. So the first step was to make them obvious to the blob detector, which works best with contrast images with minimal noise. A perfect result at this stage is to get a binary image of the same resolution as an original one, where pellets become black and the background becomes white. This would produce a gray image rather than a binary, but we could use a threshold function to bring the contrast up and simplify the job for a Blob Detector. A few words of introduction. A blob is a region of an image (a group of connected pixels) shares some common properties. 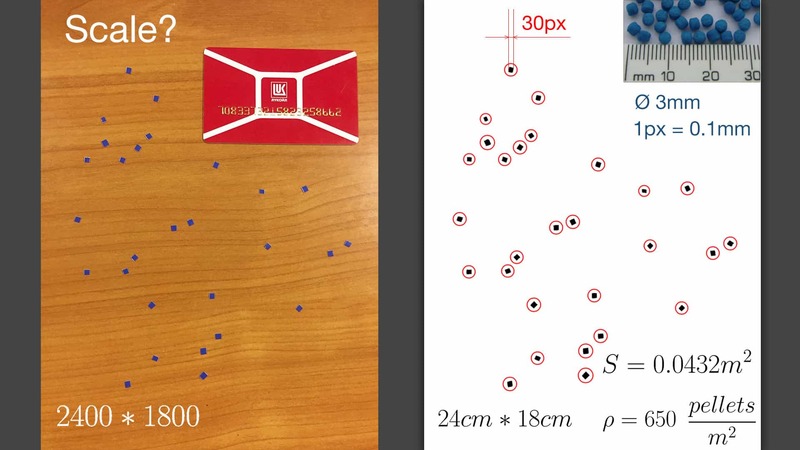 The main objective of blob detection methods and algorithms is to detect image regions that differ in these properties. Also, we chose this open source library for digital image processing as it ensures a convenient and simple way to detect and filter blobs based on different characteristics. Evaluate the final blobs’ centers and their radiuses, and return as locations and sizes of the key points. 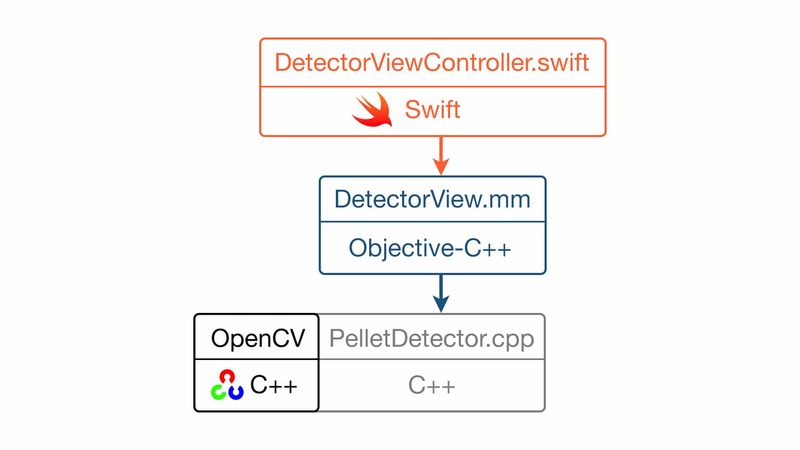 This step is pretty simple since the algorithm is implemented in SimpleBlobDetector class (OpenCV), so everything we had to do there is to set appropriate parameters. There is an option to filter blobs by area, color, the ratio of the minimum inertia to a maximum one, convexity, and circularity. We turned off all these filters except `area` to handle some possible noise, which is usually less than 4 pixels. 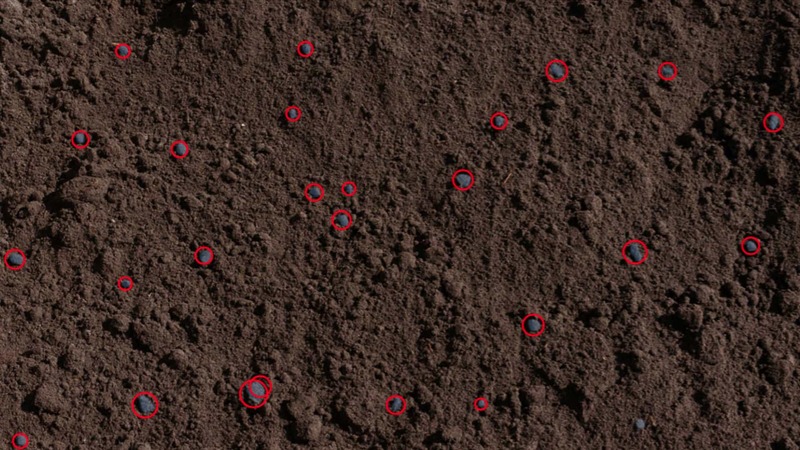 The pellets had approximately the same size and if some too small or large blobs would be detected, we should exclude them. We made that with the help of additional filtering average values. First, we calculated an average blob size and those values that didn’t belong to [0.3 * average; 2 * average] interval were excluded. Here is another a real-world example, where we tested 10 blue paper pieces in a flower pot instead of pellets on the soil. 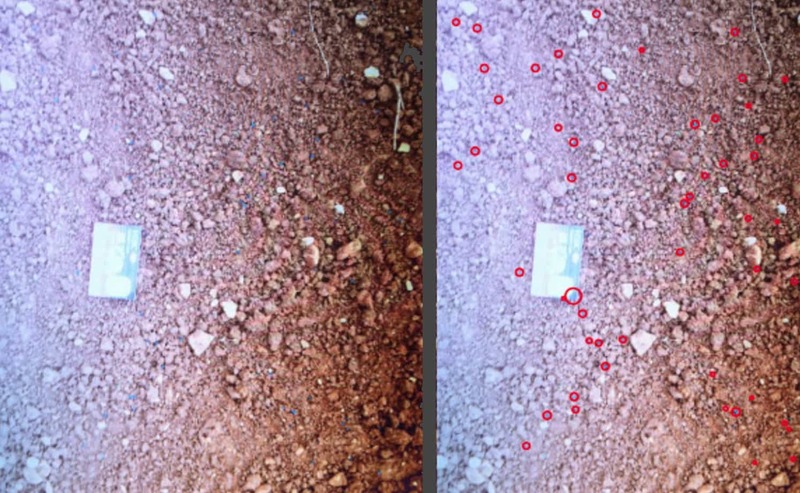 All papers were detected perfectly, though this was a rather simple task since there were much bluer in relevant zones than in the rest of the image. How could we know the real area of the image? 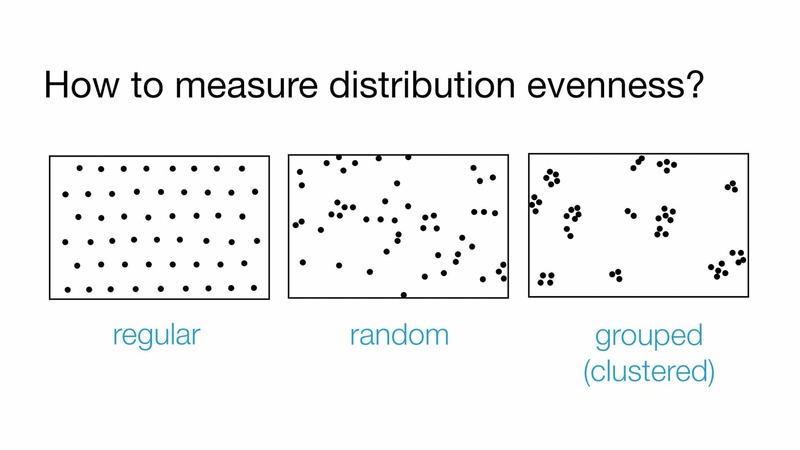 So, we knew the coordinates and radiuses of detected pellets as well as their density, but from a practical point of view, distribution quality depends on its evenness as much as it depends on its density. The described algorithm was implemented in C++ and used OpenCV framework, which was also written in C++. Hope, the article has been useful to you. If you have comments, questions, please, ask, and share your experience in digital image processing with OpenCV in comments.). 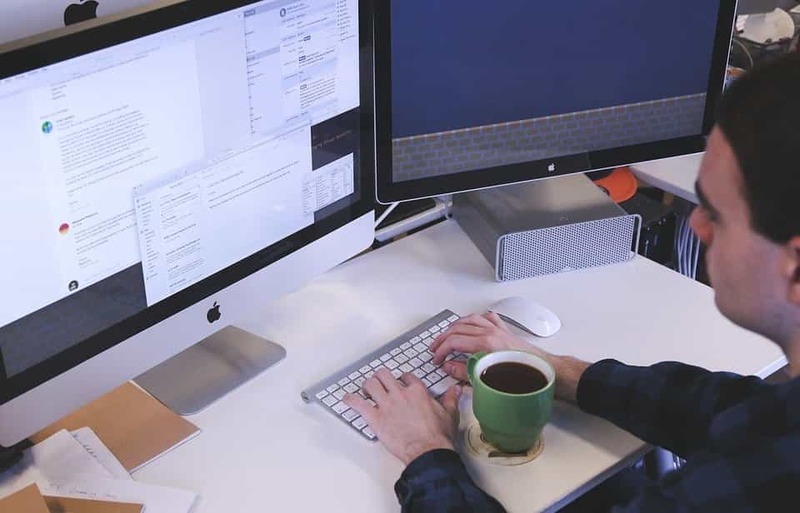 If you have a project idea, apply to a reliable software development company and get a free consultation!